In July 2018, Dr. William Kraus and Dr. James Timmons published a study regarding genetic research and diabetes. Experts from Duke University and the University of Stirling in Scotland examined the activity of 16 genes that control movement of glucose into muscle cells. These genes were targeted because of the accepted belief that cells become insensitive to the hormone insulin, and thus do not allow glucose to enter into the cell. Glucose remains in the bloodstream and leads to high blood sugar, obesity, and possibly Type 2 diabetes. The research points to the potential to develop a genetic test that could screen for diabetes and help with determining treatment responses. 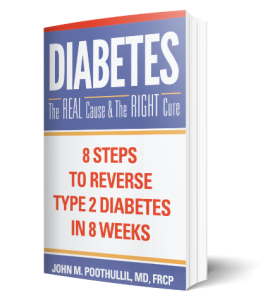 The first is that studies like these are based on and support the widely held belief that insulin resistance is the basic cause of Type 2 diabetes. It is clearly established that in people with Type2 diabetes, muscle cells do not allow entry of glucose even when insulin is present. Endocrinologists label this insulin resistance, and take comfort in proclaiming that dedicated researchers such as Dr. Timmons will one day explain the precise mechanism of insulin resistance. As long as funding is available from the pharmaceutical industry, researchers pursue this explanation so that pharmaceutical companies can develop drugs for treatment. However, what is lacking are scientists asking questions to obtain absolute proof of validation that insulin resistance is indeed the cause of Type 2 diabetes. The fact is, nobody has acknowledged that muscle cells, normally the biggest user of glucose, have another fuel source —fatty acids—to produce their energy and therefore do not need glucose all the time. This is why muscle cells do not show weakness or any functional defects in people before they are diagnosed as Type 2 diabetics. In other words, someone who has undiagnosed diabetes and is not taking medications —i.e., whose muscle cells supposedly resist entry of glucose — can still walk, run, jump, and dance. How is this possible? It’s because their muscles are burning fatty acids. There are many other inconsistencies as well in the insulin resistance theory, especially in explaining the temporary nature of gestational diabetes in pregnant women. These inconsistencies must lead us to question whether cells are truly resistant to insulin or whether my theory that muscle cells are burning fatty acids and do not need glucose might be more accurate. Meanwhile, pharmaceutical companies continue to promote medications to overcome insulin resistance and funnel more money to keep research about it going. But when a majority of diabetic patients suffer complications (nerve damage, loss of eyesight, limb amputations, stroke, etc. ), despite taking oral or injectable medications, including insulin, keeping their blood sugar under “control,” they are told it is the progressive nature of the illness that is to blame, confirming the widely acknowledged teaching that taking the medications was never expected to “cure” Type 2 diabetes, anyway. My second concern is that genetic testing has quickly become a profit-based industry that manipulates patients into believing that it can accurately predict the likelihood of a disease occurring. The Human Genome Project was launched in October 1990 with the hope of identifying all the genes encoded in the human genetic code, specifically the location and normal sequence of each of these genes. One goal was not only to study the genes that define a cancer cell but also how mutations transform a normal cell into cancer cell. This knowledge would enable us to develop more precise and effective treatment, ultimately curing more patients. The problem is, the correlation between having a gene mutation and developing a disease is highly complex and uncertain. We know that having a genetic mutation could make a person susceptible for a specific condition. However, it still requires many triggering factors that may or may not occur in a person’s lifetime for a disease to develop. For example, someone with the well-known BRCA 1 or BRCA 2 gene defect may or may not get breast or ovarian cancer in their lifetime. Many factors in the person’s environment and lifestyle appear to play a role in determining both if and when such a cancer may occur. I am not against genetic research, but I suggest we need more scrutiny and regulation to prevent over-promising, if not false expectations, of genetic testing. We already see this happening in the pet industry. According to an NPR report by Carey Goldberg on WBUR, Boston, on July 28, 2018, pet owners are being offered genetic testing to detect mutations linked to degenerative diseases in dogs similar to ALS in humans, based on symptoms the dog shows. If the gene mutation is then found to be present, the owner is offered further tests or euthanizing the animal to prevent suffering. However, the fact that only a small percentage of dogs testing positive for the mutation actually develop the disease becomes a secondary point. 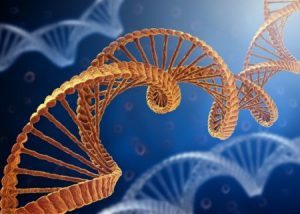 In humans, too, we already see some questionable use of genetic testing, with the acceptance of genome-driven treatments approved for one type of cancer being applied to other types of cancer even before regulated, supervised clinical trials are completed, as reported in JAMA Oncol, April 17, 2018. Given this, we must beware of the potential for abuse of unregulated genetic testing for diabetes. It is not hard to imagine that patients, especially those covered by insurance or with their own financial resources, will be offered tests to identify “malfunctioning” genes that are suspected of causing insulin resistance, yet still without absolute proof of the mechanism by which this occurs. Then pharmaceutical companies will invent new medications to activate the responsible gene. But then, as patients continue to suffer complications of Type 2 diabetes, in spite of their “targeted therapy,” they would be told that their diabetes is inevitable because it is in their genes. In the end, I feel that talent, time, and treasure are wasted in the genetic research effort, unless we can validate the existence of insulin resistance as the cause of Type 2 diabetes.